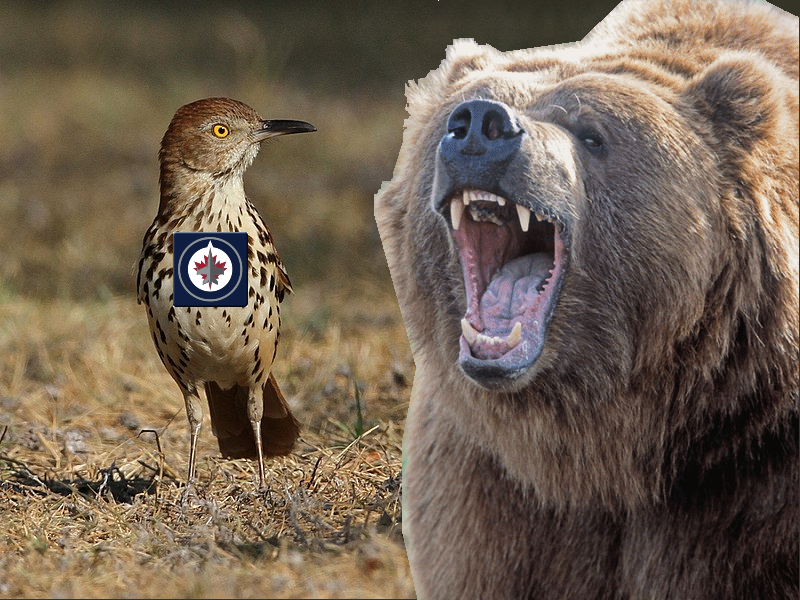 The Bruins are in Manitoba, to play the Jets. they were playing the \[adjective] Minnesota Wild and \[insert drama here] they won. Tuukka Rask was excellent and Patrice Bergeron made a triumphal return, dominating at the faceoff dot, and logging two assists. Well, anyway, they play the Winnipeg Jets tonight. The Jets are the 5th place team in the league right now, and just clinched their playoff spot on Sunday (they are a mere 1 point behind the Golden Knights with a game in hand and 2 points behind the Bruins though the Bruins hold the game in hand vs them). They’ve got a lot of young players on their roster who are making waves, most notably Patrik Laine, who has a whopping 43 goals on the season, and Nik Ehlers with 28. What the young @NHLJets have done this season is truly remarkable. Their top points getter has been Bruin alumnus Blake “hits the ref” Wheeler, who has been an assist machine with 20g 65a 85p so far. Goaltending in the ‘Peg has been outstanding this year, with Connor Hellebucyk and Steve Mason replacing Hutch. Hellebucyk has been one of the more effective ‘tenders out there this season with an impressive .924 save percentage, and a decent 2.36 GAA. This will be the 5th game in a Jets home stand in which they have won the previous 5 (after having lost the last three games of their road trip) so this is a team that is pretty hot. Of course they’re doing the stupid ‘white out’ thing this year. Which is not very hot. The Bruins have met the Jets once already this season in December, when Jets came to the TD Garden and the Bruins won in a 2-1 shootout victory. Let us do some lines. The Jets have shut down Toby Enstrom for the season, and Jacob Trouba has only just been cleared from his concussion – he is likely to still be left off the roster, since the Jets have a playoff spot locked up. Tagged Boston Bruins, Winnipeg Jets. Bookmark the permalink. Position: Power Forward. Occupation: I am the Egg Man. Contrary to popular belief, I am not the Walrus. He would have ripped their head off and then worn their face like a mask. HOW YOU LIKE US NOW!!! Ha! POWER PLAY, five on three!